The U.S. Department of Agriculture has cited SeaWorld Orlando for violating the Animal Welfare Act, namely for keeping expired veterinary materials and for neglecting to repair dislodged and crumbling rubber flooring which animals walk on during performances at the park. The citations are the result of a January 13, 2014 inspection, records of which were just obtained by PETA. During the most recent inspection, dozens of expired surgical sutures were found in the park's surgery room which can lead to life-threatening infections in the animals. 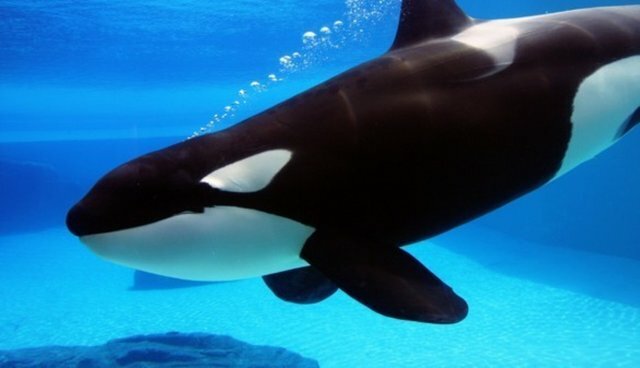 SeaWorld, the subject of intense media scrutiny after the release of the 2013 CNN documentary "Blackfish," had been issued a citation in 2007 for the same rubber flooring issue and the park was cited in 2013 for failing to keep a dolphin tank and an area surrounding an orca performance tank in a safe condition. "The tiny tanks at SeaWorld are inherently cruel, and when the tanks and surrounding areas are also rusting, peeling, and flaking, they're downright dangerous for the animals confined there," says PETA Foundation Deputy General Counsel Delcianna Winders in a release. You can learn more about SeaWorld's history here, and sign a petition to end SeaWorld's orca breeding program here. SeaWorld has been contacted for comment, we will update this post if we hear back.